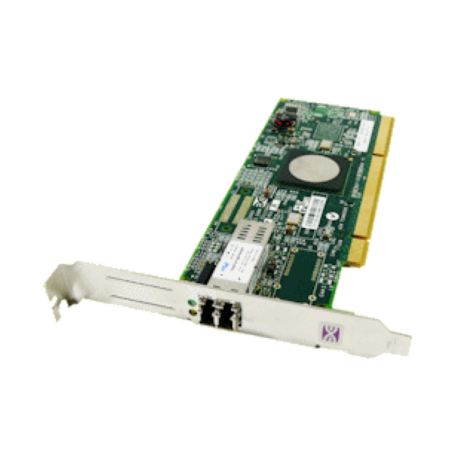 Emulex LightPulse LPe1150-E FC Fibre Channel kopen? | That's IT! Emulex LightPulse technology features Frame-level Multiplexing and out-of-order frame reassembly for maximum link utilization. Detailed real-time event logging and tracing enables quick diagnosis of SAN problems. Universal Boot capability allows the appropriate boot environment to be automatically selected for any given OS. Strong authentication between host and fabric is based on full Fibre Channel Security Protocol (FC-SP) Diffie-Helmann Challenge Handshake Authentication Protocol (DH-CHAP) compliance. Emulex feature-rich software simplifies and speeds deployment and device management, while reducing administration costs and protecting your IT investment. HBAnyware enables centralized discovery, monitoring, reporting, and management of both local and remote HBAs from a secure remote client. HBAnyware provides in-depth management capabilities including remote firmware and boot code upgrades, beaconing, statistics, and advanced diagnostics. An extensive CLI is available for scripting. AutoPilot Installer simplifies the installation and configuration of drivers and management applications for multiple HBAs on Windows servers. A single installation of drivers and applications eliminates multiple reboots and ensures that each component is installed correctly and the HBA is ready to use. Emulex VMPilot™ enables rapid deployment and migration of virtual machines (VM) with SAN attached storage in a Microsoft Virtual Server environment leveraging NPIV-based Virtual HBA technology. Emulex management instrumentation is based on Open Management Standards. SMI-S and common HBA API support enable seamless upward integration into enterprise storage and server management solutions.